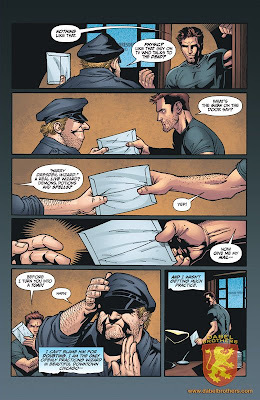 Fantasy Book Critic: Five Page Preview of “The Dresden Files: Storm Front #1”! 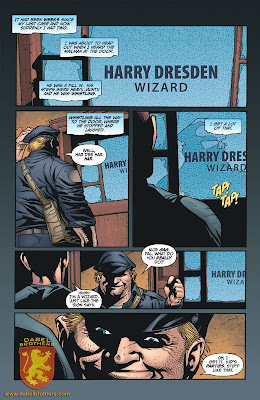 Five Page Preview of “The Dresden Files: Storm Front #1”! 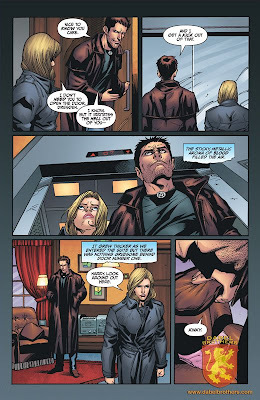 PRESS RELEASE: Dabel Brothers Publishing is thrilled to show the five page-lettered preview (Included Below) for the first issue of “Jim Butcher's The Dresden Files: Storm Front”. The comic book adaptation is written by Mark Powers (G.I. 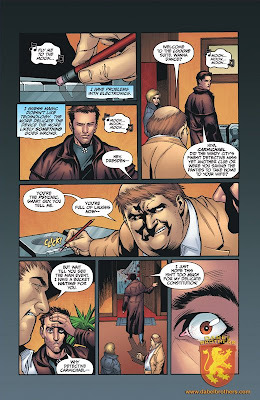 Joe: World War III, Drafted) and drawn by Dresden veteran, Ardian Syaf (Honor Among Thieves). “Storm Front” is Jim Butcher's very first Dresden Files novel, and follows Harry through the investigation of a double murder committed by the use of black magic. The Dabels promise a non-stop, and action packed story in typical Dresden fashion leaving the readers on the edge of their seats. 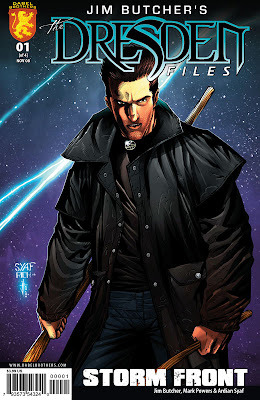 “The Dresden Files: Storm Front” issue #1 hits comic book stores on November 12, 2008 so be sure to get your copy before they disappear! Dabel Brothers Publishing, LLC, is a comic book studio dedicated to bringing many of the best and most popular novels in the world of fantasy to the comic book medium. Since its inception in 2001 they have produced adaptations of novels by bestselling authors including George R.R. Martin, Orson Scott Card, Laurell K. Hamilton, Raymond E. Feist, Tad Williams, Richard A. Knaak, and Robert Silverberg. Currently on the schedule is a remarkable list of high-profile projects including adaptations of major novels by bestselling authors: Dean Koontz's Frankenstein: Prodigal Son and Jim Dresden’s Dresden Files: Storm Front; and a brand-new Mercy Thompson adventure by Patricia Briggs. Recently announced Dabel Brothers projects include Malcom Wong’s Dog Eaters, Robert Jordan’s The Wheel of Time, The Warriors, Sherrilyn Kenyon’s Dark Hunters, the Illustrated George R.R. Martin A Song if Ice & Fire 2009 Calendar, C.E. 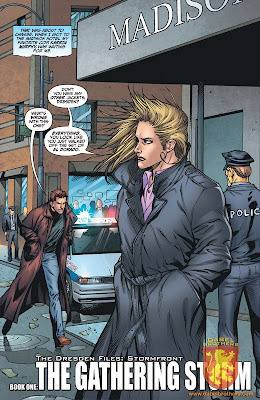 Murphy’s original comic book Take a Chance and Dean Koontz’s original comic book Nevermore. It seems in my dotage I get to like graphic novels.